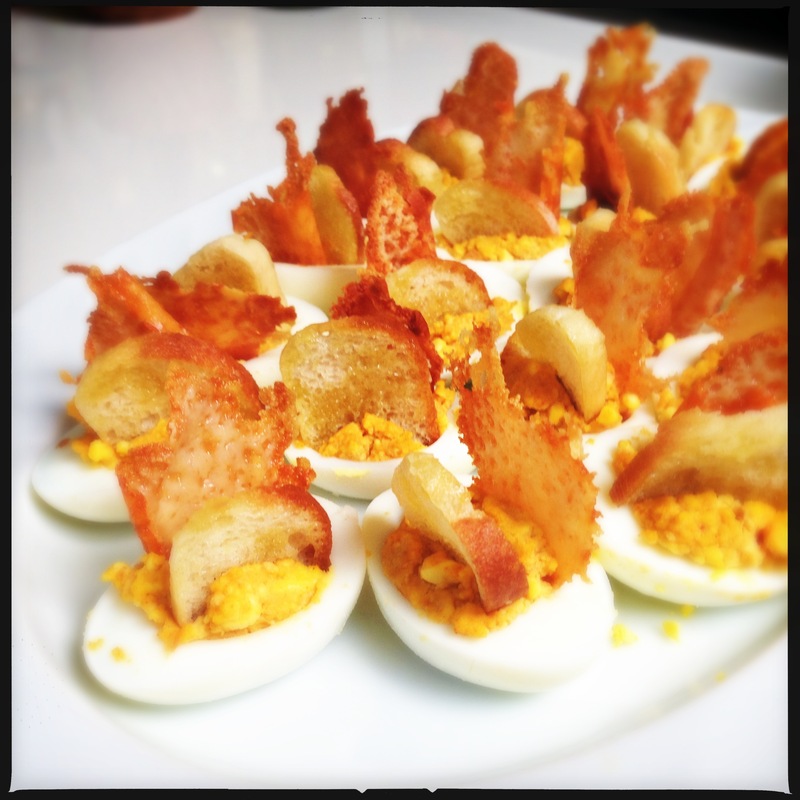 They’re one of the all-time cliché potluck contributions — deviled eggs. But the convergence of a party invitation from our neighbors Chris & Glennis’ with a surplus of eggs from our 20-some-odd chickens proved to be more of a temptation than I could resist. You could say the devil possessed me.